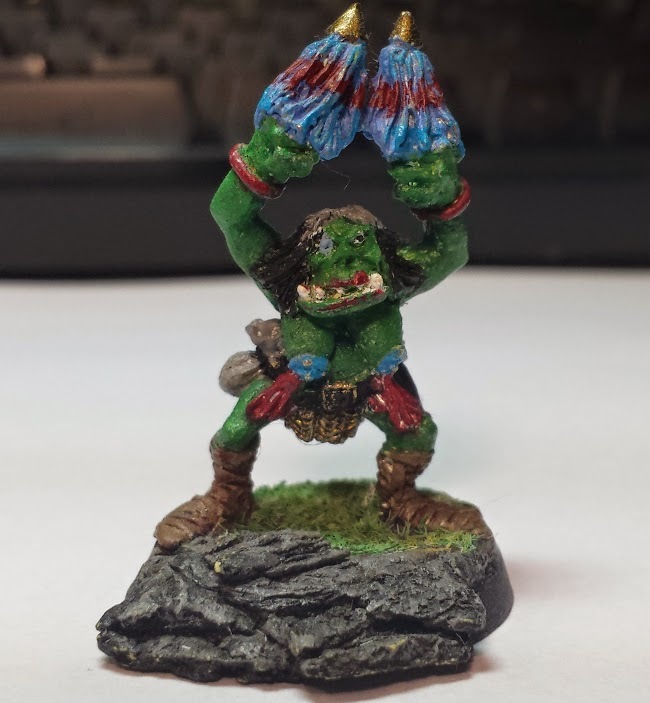 Elijah painted this Orc Cheerleader for use as a NPC in the Orc world Campaign. The mini is from the Citadel Miniatures Game Blood Bowl. GO ORCS GO!